Feb. 7-- Mrs. Mattie L. Phillips age 96 of Vidalia, GA who entered Eternal Rest on Thursday, January 31, 2019 at the Bethany Home in Vidalia, GA. Mattie was born on May 22, 1922 in Montgomery County, GA.
Mattie married to the late Willie T. Phillips in the late 40’s; afterward she moved to Vidalia, GA and was employed at the Bethany Home for 27 years, as a cook. She joined Hope Well Baptist Church which later became Solomon Tabernacle Missionary Baptist Church. She was preceded in death by Five Children: Eloise, Betty, Emma, Willie Kenneth Phillips, and Merceda Blair. Mattie leaves to cherish her memories Two Daughters: Mary Ann Phillips, and Diana (James) Atkins of Vidalia, GA. Like a Son Keith Phillips (a very special grandson). 20 Grandchildren, 42 Great Grandchildren, and 22 Great Great Grandchildren, a Special Friend Mrs. Pearlie Mae Hansley of Vidalia, GA, and a host of other loving relatives and friends. Public Visitation will be held on Friday, February 8, 2019 from 1 PM until 7 PM at Vincent R. Drummer Funeral Home in Vidalia, GA.
Funeral Service will be held on Saturday, February 9, 2019 at 1:00 PM from the Sanctuary of Harvest Time Faith Center in Vidalia, GA. Dr. Bernard and Valentina Hill is the Pastor, Bishop Vincent R. Drummer will deliver the eulogy. Interment will follow in McRae Cemetery in Mt. 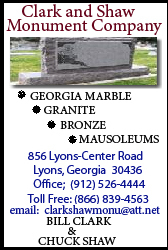 Vernon, GA.
Vincent R. Drummer Funeral Home is in charge of all arrangements for Mrs. Mattie L. Phillips.